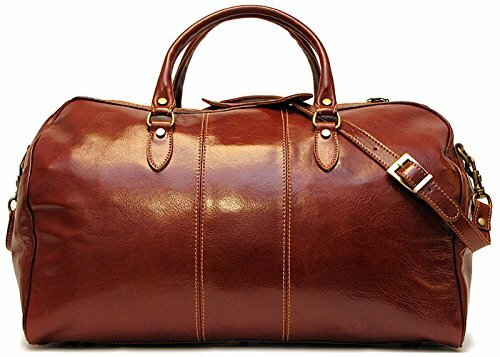 Venezia Duffle comes in classic Vecchio Brown, Olive (Honey) Brown, Tuscan Red, and Black veggie tanned Floto Italian calfskin leather. Often imitated, never duplicated. Made in Italy. Dimension: 11" x 10" x 21"